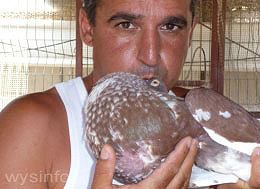 In almost every country around the world you can find a community of dedicated pigeon breeders. Many of them inherited this passion and can trace the practice back in their own families for hundreds of years. Since it would be impossible to give an accurate picture of all the different types of people who are considered pigeon fanciers, we have attempted to present just a few examples of breeders in order to provide our readers with a glimpse. 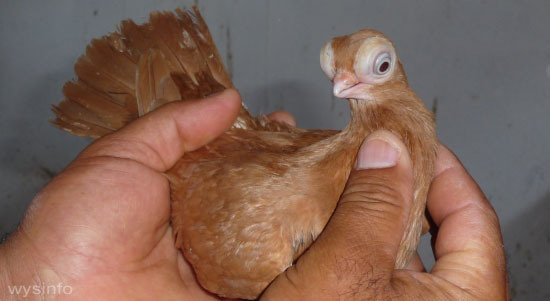 The satisfaction that fanciers get in return for raising their pigeons can be traced to the obvious sense of pride that all breeders share – similar to that of horse and dog breeders. But this is usually not enough to explain their fascination with these birds. Some are attracted to them for that special quality, difficult to pinpoint, that has made them a symbol for freedom and purity. 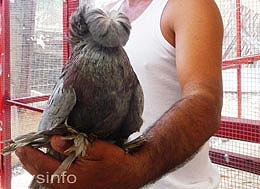 Others are fascinated with their homing instincts and are often serious about racing pigeons as a sport. These racing pigeons are taken hundreds of kilometers from their homes and then set free to find their way back in the best possible time. Some fanciers raise pigeons together with other animals just because of their love of wildlife and fascination with nature. 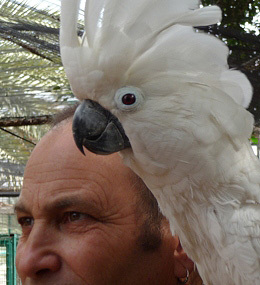 Eli raises his pigeons, together with other birds and animals such as cockatoos, giant tortoises, snakes etc. 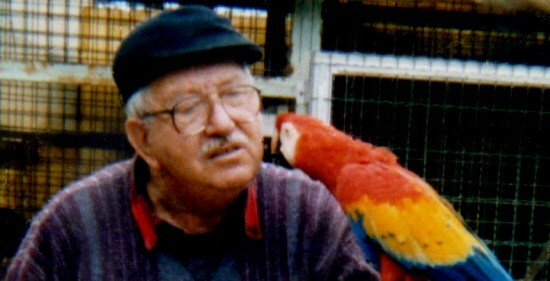 Eitan Porat, a Hungarian Jew, was known in his community as “the Bird Man” since he raised hundreds of different birds. 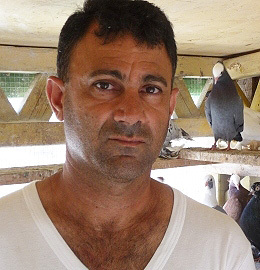 Eitan developed an attachment to pigeons during the second world war when he was imprisoned in a work camp. Pigeons set their nests beside his window, providing him with the sense of freedom that he was missing. 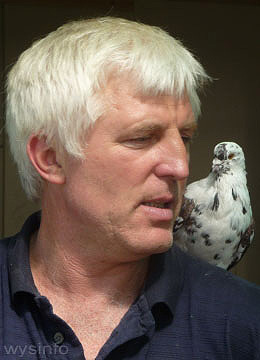 As people have moved around the world they have taken their dedication and fascination for pigeons with them. In some cases they had to abandon the pigeons that they loved in their ‘old country’ and start again. Others found creative and sometimes daring ways to bring their pigeons with them to their new worlds. There are stories of breeders who, after the disruption of a war, fled their countries with very little – but managed somehow to take pigeons with them. 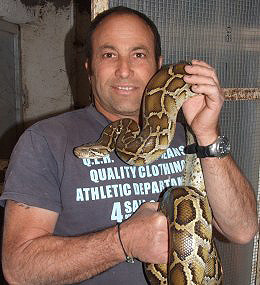 Yoav, a farmer by profession, raises different breeds from all over the world. 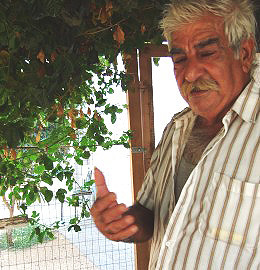 His family raised pigeons in Tunis for many generations, before moving to Israel. 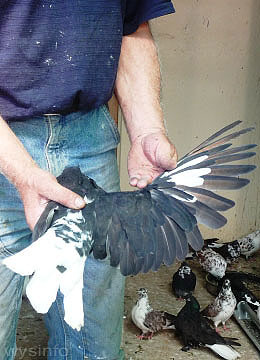 Some of the pigeon fanciers breed a variety of different types of pigeons, while others focus only on one type of pigeon. For example you can find breeders that concentrate only on English Carriers or only on high flyers, etc. Valeri learned to raise pigeons in Russia by helping a neighbor, who was a fancier. Later in life he moved to Canada, and started breeding them again. Above Valeri is stretching a wing of one of his Ukrainian high flyers, an important feature enabling a high flyer to climb to exceptional heights.